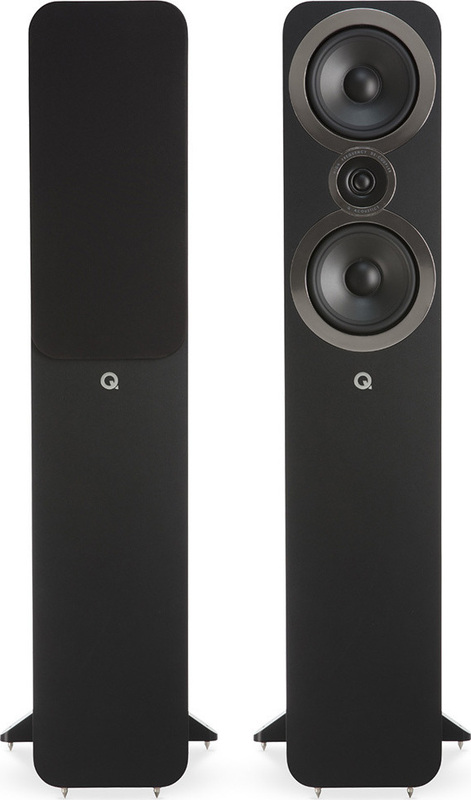 The all new, Q 3050i floorstanding speaker has been created using design principles taken from our critically acclaimed Concept 500 Series, resulting in stunning sonic performance and beautiful aesthetics. The Q 3050i speakers boast a range of unique technologies including HPE™ and P2P™ to ensure these floorstanding speakers deliver a truly exceptional sound. HPE™ (Helmholtz Pressure Equalizer) technology designed to convert pressure to velocity and reduce the overall pressure gradient within the speaker enclosure, has been applied to the Q 3050i to reduce cabinet resonance. This technology is perfect for taller loudspeakers that tend to resonate at a single favoured frequency. Q Acoustics P2P™ bracing across the 3000i Series supports the parts of the enclosure that need to be stiffened making the enclosures exceptionally rigid, improving the focus of the stereo image and giving the soundstage more accuracy than in previous ranges. Q 3050i tweeters are decoupled from the baffle via a compliant suspension system. Vibrations from the woofer, which can impair the performance of the tweeter are isolated allowing the tweeter to perform with dramatically reduced interference. Whichever 3000i model you choose the cone is precision formed from impregnated and coated paper and teamed with a newly developed, low-hysteresis, rubber surround. The coated paper cone provides the optimum balance between stiffness and self-damping which means it can accelerate without flexing and stop very accurately without unwanted resonances. Q 3050i range features all new enclosure aesthetics and offers 4 new contemporary finishes; Graphite Grey, English Walnut, Carbon Black or Arctic White. All are finished with an attractive chrome bezel around each driver and feature magnetic speaker grilles. Low profile binding posts have been incorporated into the Q 3050i with sockets deep enough to accept 4mm Banana Plugs. This floorstanding speaker can be positioned very close to a rear wall even when banana plugs rather than spades or bare wires are used.